Check out Clickstop’s amazing Joan Halloween costumes. You know you’ve arrived when people dress up as you. 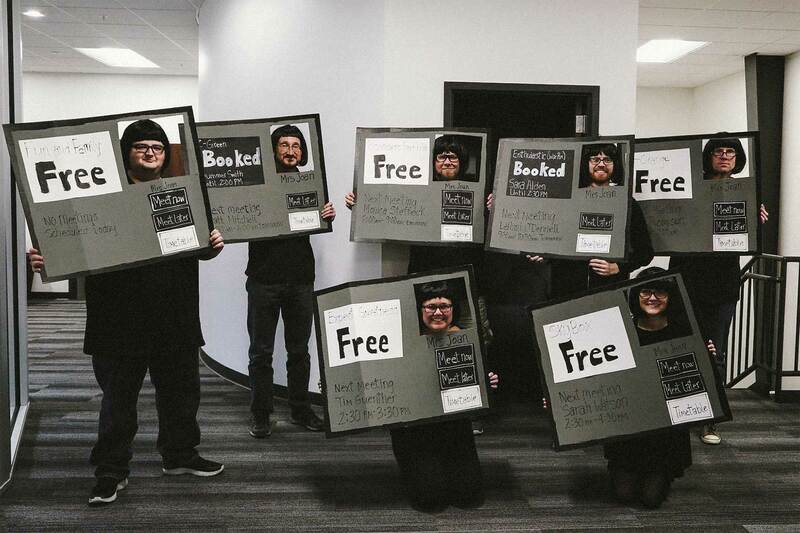 These are last year’s amazing Halloween costumes from Clickstop, a multi-brand merchant from Iowa. The Technology Team chose Joan as their costume theme, proving that their love for shenanigans and seamless room booking knows no bounds. You’d expect nothing less from a company that has been recognized for the last 5 years as one of the Coolest Places to Work and that has fun enshrined as one of their core values. Way to go, you guys! We couldn’t be more flattered.